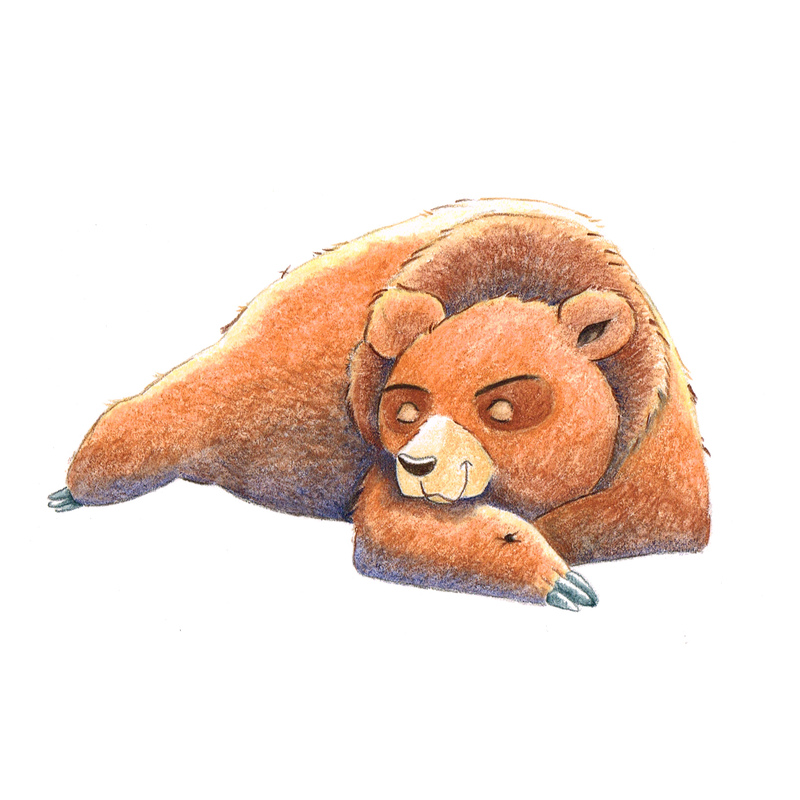 This is the first illustration from The Growly Bear, written by my grandmother Coral O'Donnell. 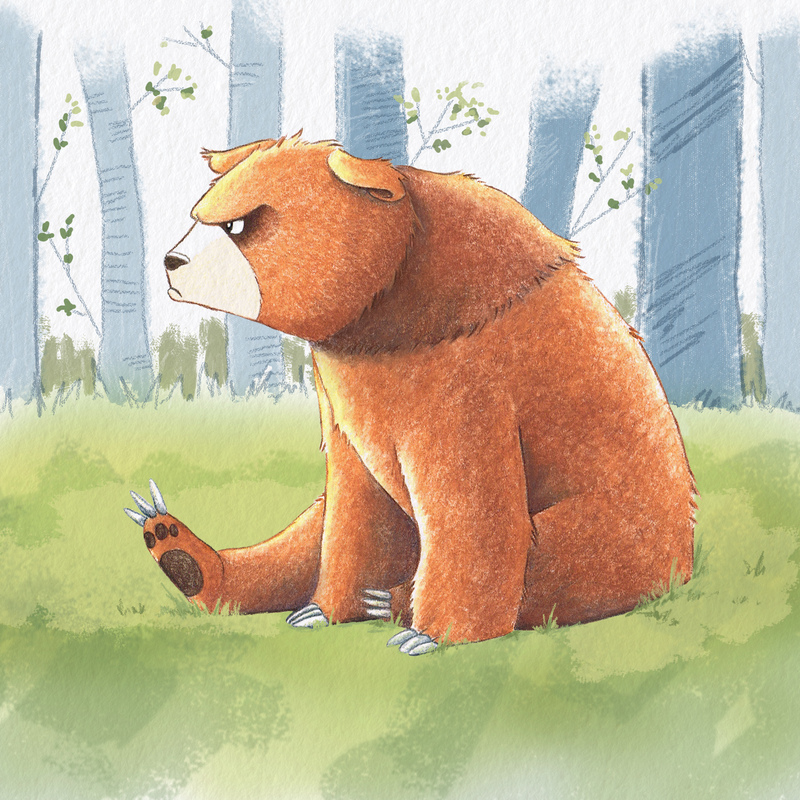 The bear is drawn in watercolour pencil on hot pressed watercolour paper, while the background has been done digitally using a Wacom tablet in Photoshop. This book is now available in paperback and hard cover in the store. This is an illustration from The Growly Bear, which was written by my grandmother Coral O'Donnell. I found this work particularly sweet. Medium is watercolour pencil on hot pressed watercolour paper. Hot pressed paper is annoyingly hard to find but it's smoother than cold pressed paper, making it easier to draw fine lines. Otherwise the pencil follows the bumps. This is a piece from an unpublished picture book I have written, titled Clancy's Bakery. Clancy is a King Charles Cavalier dog who dreams of opening his own bakery one day. 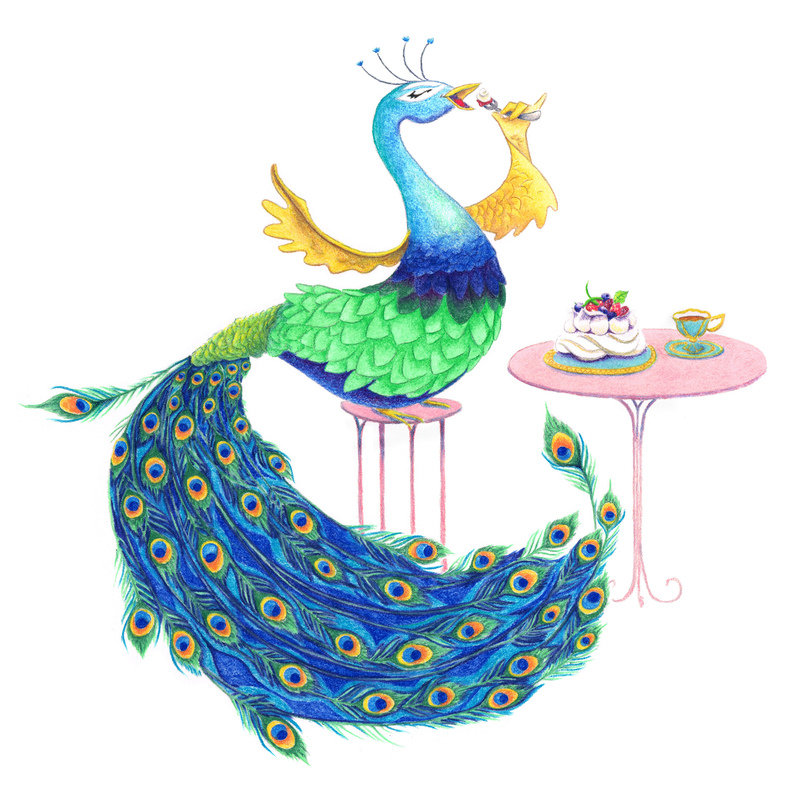 Pablo Peacock is one of his customers, a fan of pavlova with berries and fresh cream. The medium is watercolour pencils. I draw the pencils on dry, then go over the image with a very small, damp brush. 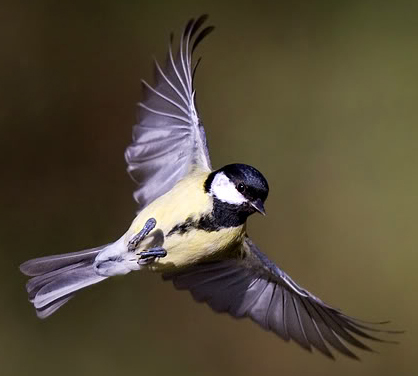 There is a lot of detail in this image, particularly the feathers. I wish I kept an accurate record of how many hours this took. At a guess I would say around 20, from sketches to final touch-ups. This is a character from an unpublished picture book I have written, titled Clancy's Bakery. Clancy is a King Charles Cavalier dog who dreams of opening his own bakery one day. 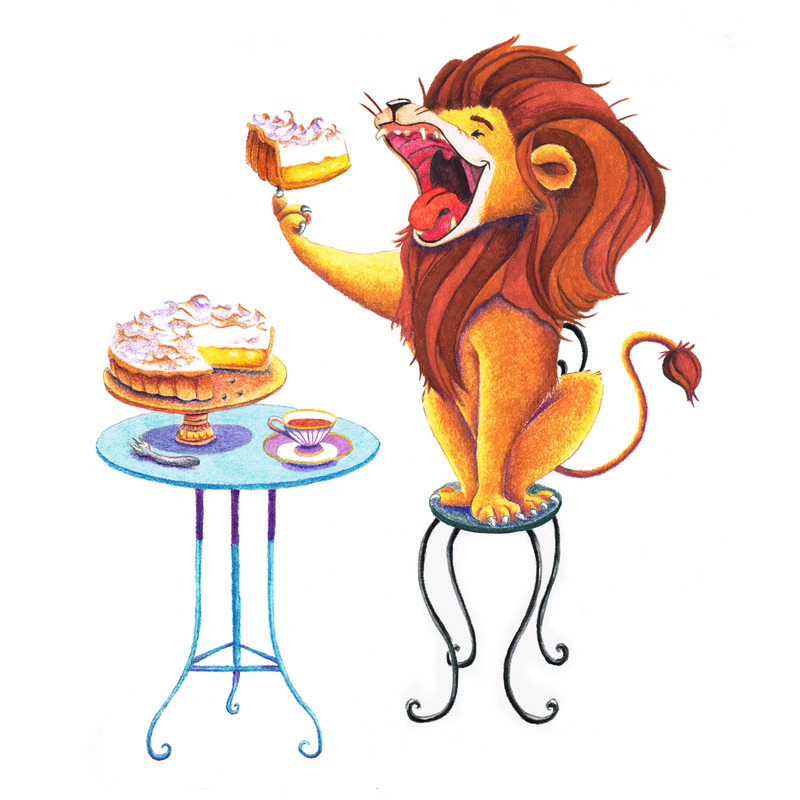 This particular character is Leonard Lion, eating lemon meringue pie (um, YUM!). The medium is watercolour pencils. I draw the pencils on dry, then go over the image with a very small, damp brush. Took roughly 10-15 hours from concept sketches to final touches. 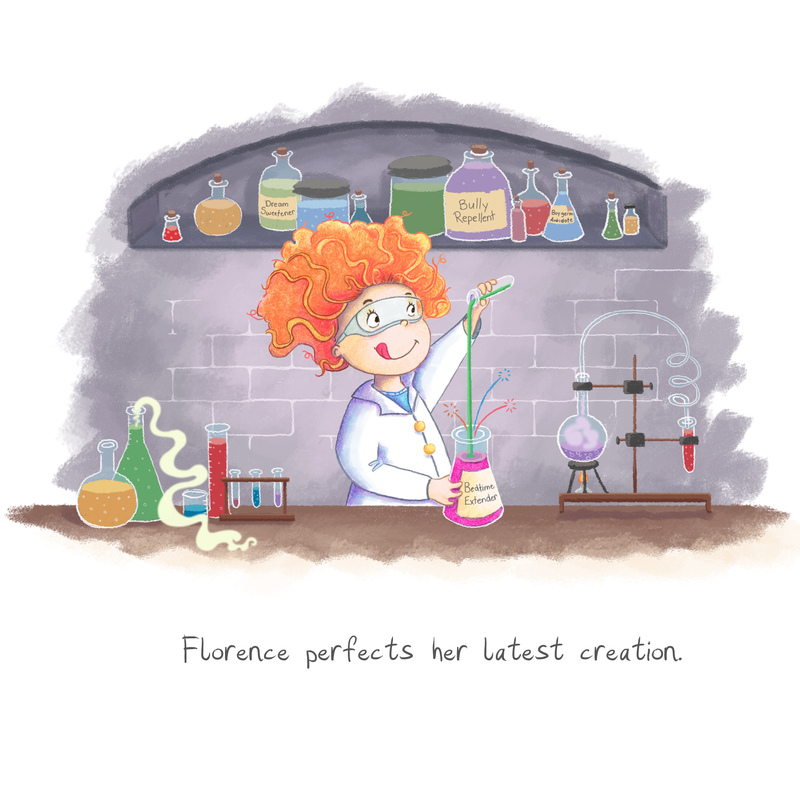 Florence is an eight-year-old girl obsessed with science, in particular, chemistry. She comes up with all kinds of secret brews in her lab. This character popped into my head randomly during a sketching session. After posting her on Instagram I've already had requests for a book ... so who knows, maybe one day she'll have her own story! Medium is watercolour pencils for the character and digital art for the background. All up took two days to complete. This was a quick sketch I did for my sponsor child in Pakistan. 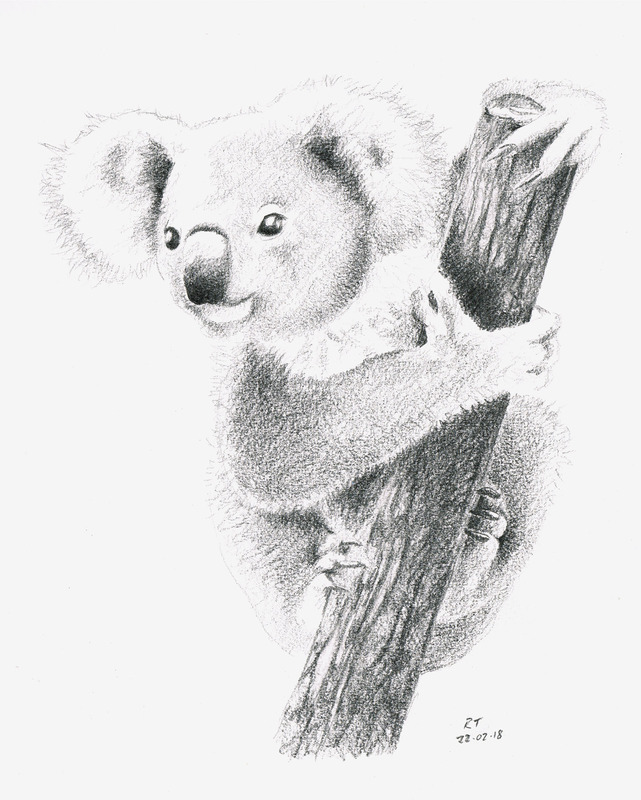 She drew a beautiful rose for me so I decided to send her a pic of this furry little Aussie icon and included some facts about koalas too (such as how they may look cute n' cuddly, but watch those claws!). The most difficult part of this drawing was capturing the different textures in the fur, as well as the colour - when you're drawing with a simple graphite pencil on white paper, unless you draw the full background, what's actually white (e.g. the fur at the edges of the ears) is drawn as grey. And I wasn't too happy with the stump, either, but practice is practice. All up this drawing took about an hour. Disclaimer: Reference material was a photo I found online, I don't own any copyright for this image. 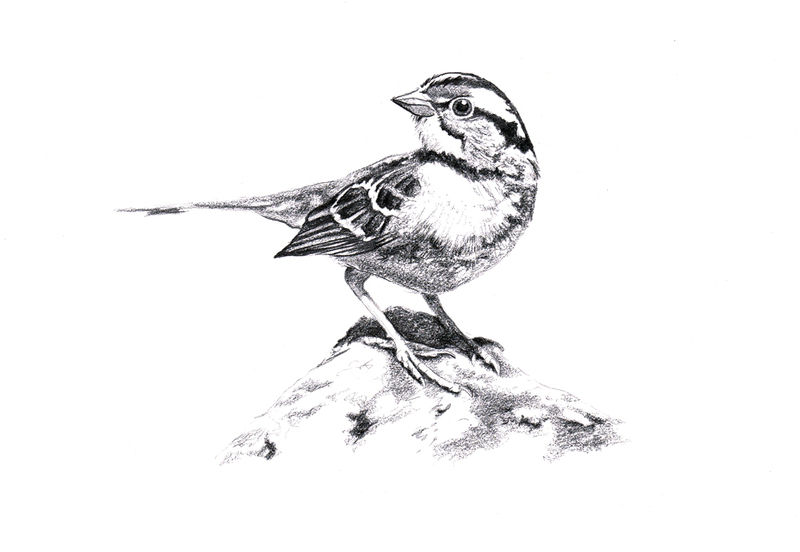 The first in a series of three small birds, purely for personal use. I loved the dramatic lines of the wingspan and contrasting shadows/highlights in the original photo (included below). The contrast converted really well to black and white. In the actual photo the right wing is even longer. I know nature didn't 'get it wrong' but to my eye it looked out of proportion so I shortened it for the drawing. Probably going to be sent to some special corner of Artist's Hell for that, but oh well. I also don't know who took the original photo (hence why this is just a personal drawing!) but would love to be able to credit them; so if you know who took the photo below, feel free to drop me a line. 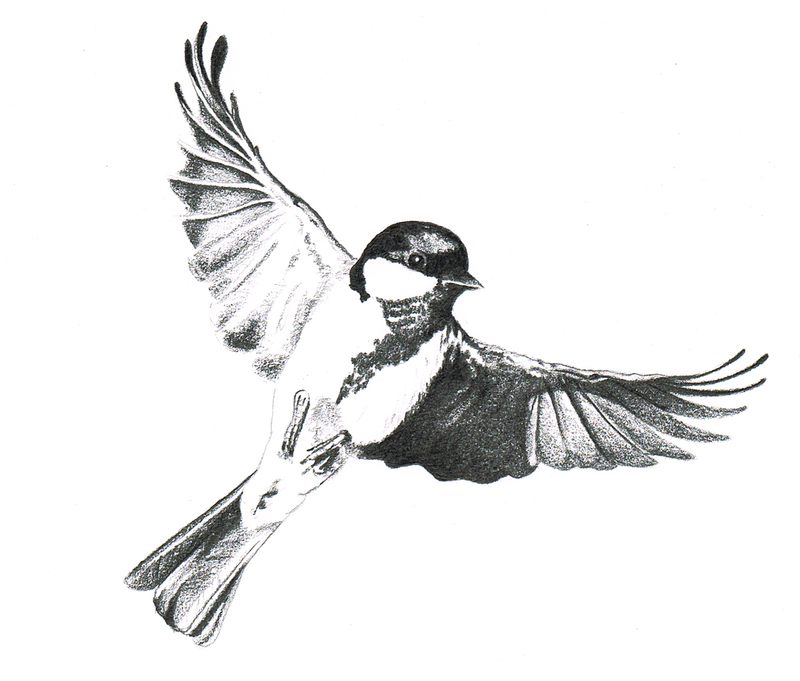 The second in a series of three small birds, for personal use. Sparrows remind me a lot of New Zealand, where I grew up before we moved to Australia when I was six. I'm a tiny bit proud of the fluffy texture I kind of managed to create on his chest, although I think I still need to work on capturing the personality behind the eyes (or in this case, eye). 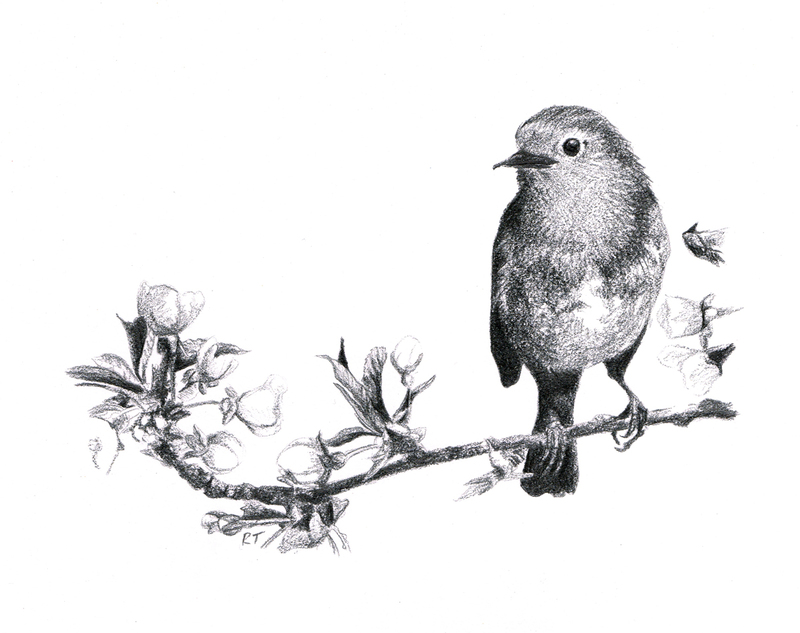 The third in a series of three small birds, purely for personal use. I picked this photo of a robin to work from both for the clarity of detail, and also because I wanted to incorporate some other elements and textures into the composition - namely, the twig and soft white flowers. This image was drawn from a photo I found online. If you know the artist who took the photo, please let me know here so I can credit them.